It is an exciting time to work for the City of Delaware! The city continues to grow and with growth comes new opportunities. We are currently seeking a dedicated and focused individual to join our IT team in the new role of Application Systems Specialist. 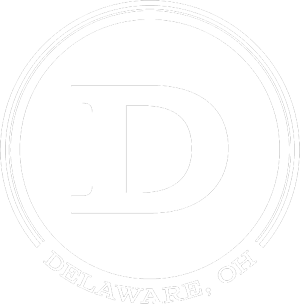 At the City of Delaware, we stand on the principles of great community, healthy economy, effective government and safe city. Are you are driven, collaborative, a great communicator and educator who likes working with different applications and the people who use them to assure everyone is getting the most out of them? Read on to see how you could help us continue meeting these principles in this role and apply today. Under the direction of the Chief Information Officer, the Systems Specialist's primary role is to design, maintain and implement current and or new database management systems, computer applications and operating systems. This position also analyzes organizational software needs, devises solutions and maintains PC software and hardware systems. The Systems Specialist understands and analyzes organizational tasks, workflows and procedures and looks to modify, enhance and improve IT systems and applications to enable efficient and productive use by City employees. Conduct needs and impact analysis on business requests searching for ways to link programs, processes, and systems throughout the organization to achieve optimal efficiency and reusability. Lead testing and quality assurance activities. Address system performance issues and crashes. Track, escalate, and redirect problems to correct resources. Follow up with users, provide feedback, and see problems through to resolution. Allocate budget for certain software packages and programs and recommend other organization IT purchases and procurements. Deliver software solutions to business side of the organization. Interact and engage with directors and discusses specific business needs and requirements. Provide application support for current and new software systems. Continually develop product expertise by reviewing new functionality, testing product issues and utilizing internal resources. Maintain expert level of business functional knowledge and current automated technologies. Skill in using tact, discretion, initiative and independent judgment within established guidelines. Skill with spreadsheets, databases, a variety of software systems, hardware, networking and software applications, electronic business systems, browser based applications and new generation internet technologies, standards, methodologies and concepts. Skill in organizing work, setting priorities, meeting critical deadlines, following up on assignments with minimal direction, effective decision-making and problem-solving. Knowledge of principles and practices of analysis and design of complex computer and communications systems. Knowledge of data analytics and reporting. Knowledge of principles of work-flow charting and computer system documentation. Knowledge of enterprise and desktop applications including financial, asset management, records management and inventory management. Knowledge of principles and practices of interface design. Knowledge of troubleshooting principles, methodologies and issue resolution techniques. Knowledge of principles and practices for project management. Knowledge of current Web technologies, protocols and tools. Knowledge of principles and practices of programming and systems analysis. Knowledge of standard office procedures. Ability to work independently, learn new tasks/handle multiple tasks, solve problems, meet deadlines, and show strong self-motivation and initiative. Ability to evaluate user needs, system requirements, and cost effectiveness to develop appropriate alternatives. Ability to develop and maintain clear and concise user documentation. Ability to effectively evaluate computer systems and procedures. Ability to understand the data structures and technical infrastructure used in supported applications. Ability to interface effectively with third party vendors to resolve application issues and support software upgrades. Ability to accurately analyze problems and recommend effective courses of action. Ability to work effectively on several projects concurrently. Ability to explain complex information and procedures to employees and officials lacking technical knowledge. Ability to interact professionally with various levels of employees, officials, and customers. Ability to prepare complex reports, business correspondence, and procedures. Ability to coordinate project timelines and requirements with stakeholders. Assist in the provision of IT consultation and technical guidance to City departments in the selection, operation and maintenance of organizational software. Create or enhance documentation. Develop and document process flows to uncover and clarify business requirements. Provide software training to staff as needed. Work as a liaison between departments and technical staff by translating business needs into technical specifications for execution by the technical staff. Provide perspective from user and or business need. Analyze and define user requirements and translates them into clear and concise system requirements. Review test and implementation plans and coordinates and supports user acceptance testing. Work with management to review and test new hardware and software applications for potential use by City departments. The primary duties of this position are performed in a general office environment with occasional visits to off-site City facilities. Sufficient clarity of speech and hearing or other communications capabilities, with or without reasonable accommodation, which permits the employee to discern verbal instructions and to communicate effectively with others in person and over the telephone. Sufficient visual acuity, with or without reasonable accommodation, which permits the employee to comprehend written work requests, to diagnose and detect problems and to to develop effective system solutions. Sufficient manual dexterity, with or without reasonable accommodation, which permits the employee to operate computer equipment and other office equipment. Sufficient personal mobility and flexibility, with or without reasonable accommodation, which permits the employee to work in an office setting. Sufficient ability and strength to lift, carry or otherwise move objects up to fifty (50) pounds for varying distances. Bachelor's degree (or equivalent) from an accredited college or university with major course work in data processing, computer science, information technologies or closely related field. Three (3) years of responsible experience in technical support for personal computer hardware and software systems, utilizing networks. Possession of a valid State of Ohio driver's license. Must be honest, dependable and trustworthy.